Moebius Redux: A Life in Pictures | Movie4Cast - The Most Complete Movie Community Platform! French artist and author Jean Giraud is one of the most famous and influential comic strip illustrators and authors of all time. He achieved his greatest fame as Moebius - not so much a pseudonym as an alter ego. With his triple-split personality - Jean Giraud, Moebius, Gir - he succeeded in making his work accessible in popular comic strip series like Blueberry, in metaphysical fantasies like John Difool and, not least, to a broad public, with set designs for films such as The Fifth Element. 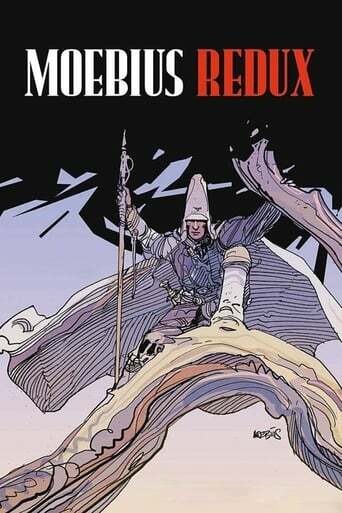 In Moebius Redux - A Life in Pictures an exceptional artist tells his life's and work's story. Extraordinary views on Paris, Los Angeles and the Mexican desert build a visual link between his life and his artistic universe, accompanied by the electronic soundtrack composed by "Kraftwerk" legend Karl Bartos.